The studiofaro pattern used from the blog to make these great skirts. This is the fringed fabric from my stash I love the look of this and it falls beautifully. 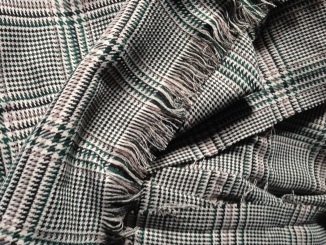 Front view of the woven fringed skirt. This is the fabric used for my sister in laws skirt. 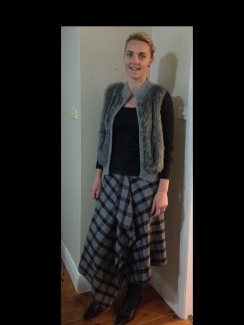 This skirt pattern was on the studiofaro blog and was very easy to draft. It fits well and sews up really quickly. I love the fit and the lines of this skirt . I made 2 for myself one in a wool suiting and one in a woven fabric that I had fringed but was still sitting in my stash so I felt it needed a new future. I also made one for my sister in law as she really liked those I had made for myself . This skirt is an easy one to make and draft I highly recommend it . 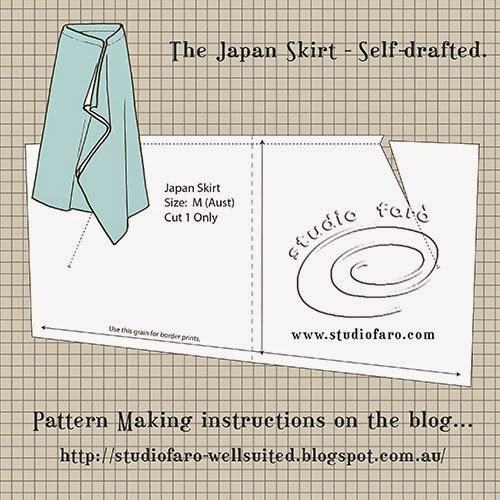 This entry was posted in inspiration and tagged http://studiofaro-wellsuited.blogspot.com.au/2014/08/pattern-puzzle-japan-skirt-no-block.html. Bookmark the permalink. Hi Sue. I was so lucky to stumble across your blog in a google search. It’s exciting to see your versions of the Japan Skirt. Would you mind adding a link back to our blog so fans can find the instructions? I would also like to feature your creations on our FB page if you are happy for me to share. Hi great to hear from you I will be happy to add the link I didn’t realise I hadn’t , and please share whatever you like it’s the least I can do as I am obsessed with the wonderful challenges on your blog .I look forward to the puzzles each weekend on Facebook and love trying your patterns. Yes I love her blog and she said she was featuring my dress but I didn’t realize that she was featuring more.